JUNKEE Media is home to all pop culture and news for you Australians. As one of the best media brands in the country, it is no surprise companies want to advertise on their websites. I was lucky to work with JUNKEE to help them produce the artwork assets for Samuel Wynn's new wine campaign. 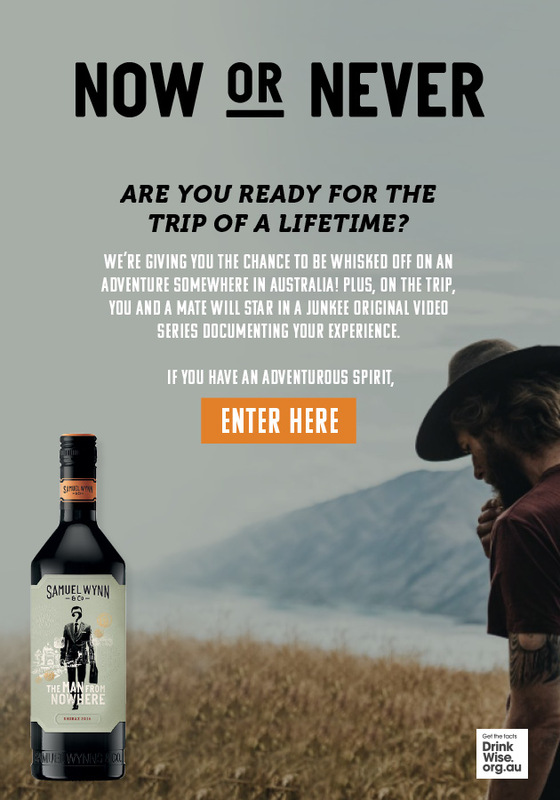 A competition urging Australians to seize the moment and win themselves an aussie adventure. An opportunity that sat perfectly alongside the new Samuel Wynn & Co. Wine brands adventurous, explorative spirit. The project included a home page background and title. Mobile and web animated gifs for medium rectangle positions, sidebar animated gifs and an EDM advert piece.